Experience plays a vital role in any successful operation. However, as many startups lack the required expertise to navigate the sea of teething issues successfully, they expose themselves to risks of failure. At R Singh Professional Corporation, we are cognizant that inadequate experience of a startup can be sidestepped with professional assistance because we thoroughly understand the struggles startups face and how to overcome them. 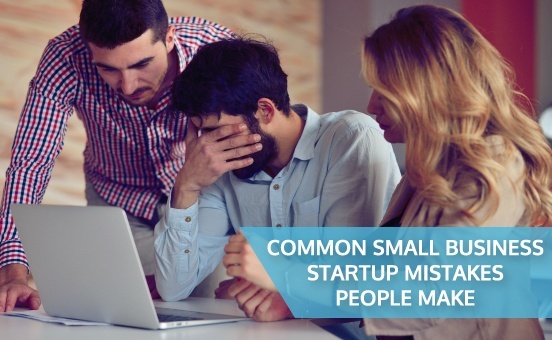 To help you avoid making expensive errors along your journey to success, we have compiled a list of the most common small business startup mistakes people make. 1. Undervaluing your products or services. Undervaluing your goods and services as a strategy to enter the market or attract customers leads to price wars, and even if the approach works, it is a long road to recovery. A better option is that you should explore the market thoroughly as you start your business, to identify the best price entry point for what you’re selling. 2. Avoiding new technology and neglecting your continuing education. Technological advances and modern trends are rendering the old way of running businesses obsolete. An unwillingness to adapt to technological advances and not continuously keeping yourself abreast of trends can hurt your business in the short-term and long-term. 3. Not knowing who your ideal customer is failing to plan and planning to fail. Once you identify who is your ideal customer, you create a strategy on how you intend to reach them and attract them to your products or services. Merely trying to build a business without a plan and adequate market research is a recipe for disaster. You need to conduct market research to identify who you are trying to reach, where you can find them and how they will react to your marketing activities. 4. Trying to run your business all alone without creating a support system. If you try to run your business all alone, you will be drawn into a trap of micro-management, inordinate stress and more often than not burn out. It is imperative that you create a support system that frees up your time to help you to focus on strategy creation and execution. One of the best ways for new small business owners to build their businesses is to free up their time for business activities that require their unique expertise and build a team positioned for future success. 5. Failing to ask for referrals. Your existing, happy customers are a major business asset. They are brand ambassadors of your business who can yield benefits in many ways, but you need to ask them for support. Instead of spending a lot of money on your advertising, why not ask customers for referrals? Referral sales are the cheapest and easiest way to grow your business. 6. Taking your existing customers for granted and neglecting marketing. Once you have built a business supported by a loyal group of existing customers you need to continuously improve your product or service quality to retain your existing customers and attract new ones. Poor product quality or service and after sales support compels your customers to switch over to your competitors. This not only harms the business you have created but also tarnishes your reputation in the market. A business continues to stay relevant by proactively marketing their products or services. Marketing helps you to showcase how your present, as well as new products or services, add value to your customers. It is an excellent medium of brand building and communicating to customers that your business is focused on satisfying the needs of the customers. Marketing also helps you in your endeavor to attract new customers which is essential to the growth and health of your business. To avoid these and other mistakes and obtain professional accounting services guaranteed to meet the needs of individuals, small businesses, and corporations, reach out to R Singh Professional Corporation. As the best Chartered Professional Accountant in Calgary, AB and the surrounding areas, we work with companies from a start-up position by managing their bookkeeping requirements. As the business grows, a full complement of professional services is available to facilitate the attainment of business objectives. Our team is well qualified and holds the most demanding accreditations and certifications backed by relevant industry experience. We take pride in embracing industry best practices and providing the highest standards in client advisory. To learn more about the services that we provide, please click here. If you have any questions or need advice on how we can help you to achieve your personal and business goals, please contact us by clicking here.